“Oh ye of little faith!” That’s kind of the reaction I have been getting from some of you to my last missive on the End of Private Clouds. Perhaps it’s the definition of “not too distant future” that has people confused. There will absolutely be a continuing investment by vendors and their enterprise customers in building and deploying private cloud solutions. Some value will be realized and we can help make sure that happens. However, at some point most customers will fall into a pit of despair and abandon their private clouds BECAUSE THEY CAN’T KEEP UP. How many enterprises write their own DBMS? SFA/CRM? Operating Systems, Networking, HRMS, ERP, or other systems? How many enterprises custom design their own servers and storage devices? You know at some point early in the market many of them did just that. Then a vendor solution came along and made continuing their investment a bad business decision. The fact is that Amazon, Google, Microsoft and (perhaps) IBM are proving that they can run data centers and clouds far more effectively than most enterprises. And it’s only going to get worse for the in-house IT team. The sheer scale, cost model, and ability to invest in R&D for data center technology and operations solutions just favors the bigger players and the gaps are only going to grow. There’s been some recent noise about the gap between OpenStack hype and actual enterprise adoption. Perhaps many IT organizations are struggling with the tension between their desire to build and operate something as cool as a cloud and their understanding of the bleak reality they are facing. 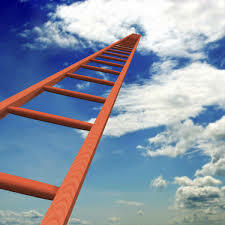 The ladder to cloud success is very high – and only the undaunted will attempt the climb. The rest will despair of the Quixotic nature of such a quest and will move on to greener pastures. HP’s announcement last week at Interop that they are shipping their SDN SDK and SDN App Store is merely one of the first salvos of a war that will likely heat up over the next 24 months. What was once the purview of marketing and start-ups, Software Defined Networking has now become the dominant strategy of HP, VMware and others to truly disrupt the current state of data center network architecture. As they announced a few months ago, VMware is going further with their NSX-based SDDC (Software Designed Data Center) concept, which essentially treats the entire underlying network infrastructure as dumb pipes. In this new world of SDN and SDDC, the never-ending list of features that Cisco, HP, Dell, Huawei, and others have used as the lynchpin of their competitive strategy in the Ethernet switching and routing markets is nearly irrelevant. Instead, what these new technologies demand is simplicity and speed, something incompatible with layering on hundreds of unnecessary features into the software that drives Ethernet switches. In fact, layering is the underlying story here. While most network architects have tried to avoid networking overlays due to complexity and losing visibility into layer 2 and 3 architecture, SDN and SDDC are truly a network overlay that abstracts away the entirety of the underlying physical network. Implementing SDDC means only two basic requirements for the underlying network: it should have as few hops as possible between any two points, and as much “symmetric” capacity as possible–meaning the capacity should be equally large between any two points on the network. Only with this design do you enable the broadest possible freedom at the overlay SDDC layer. What don’t you need? VLANs, layer 3 routing protocols (OSPF, IGRP), and other such mainstays of the data center. All of this is handled inside the software layer, and with VMware NSX the virtual infrastructure. All in all, this is an exciting movement towards simplifying the network layer and making it more agile and responsive to the needs of business. Having per-VM virtualized network components such as load balancers, firewalls, and switches means less specialized equipment and less capital outlay in the racks. Is all of this going to be in production tomorrow? No way. There’s still some key hardware and software challenges that need to be solved to equalize the performance equation. However, if history is our guide, it won’t take long for those to be conquered. Oracle & Cloud. Oil & Water. Never the twain shall mix. Or so it’s been until now. Excluding SaaS offerings that were mostly acquired, Oracle has been largely absent from the cloud these past 7 years. However, one thing you can always count from Larry & Co is an uncanny ability to adapt, embrace and compete like hell when it matters. Coming from an 8-1 deficit to win 8 straight America’s Cup matches shows you just how much Ellison likes to win. After years of ignoring or aggressively denying the importance of cloud computing, Oracle has finally demonstrated their credible progress with no less than 10 new offerings announced at Oracle Open World this week. There is still a fair amount of cloudwashing going on, but for the first time it is no longer fair to deride Oracle as cloud hype without substance. It was fun while it lasted though. Oracle is embracing the public cloud with database, middleware, compute and storage offerings. Their compute solution, powered by the acquisition of Nimbula and Chris Pinkham, looks pretty reasonable at first glance. And storage built on OpenStack Swift is also pretty leading edge. Multiple DBaaS offerings and a cloud-extended database backup appliance will probably be well-received by Oracle’s customer base. In the private cloud, Oracle is starting to make some progress as well. I wouldn’t use them to build private IaaS clouds at this point, but they are selling an IaaS-in-box “engineered system” that might get some users. What’s more interesting is their database consolidation play which is being offered to major enterprises through an Exadata DBaaS offering that can be run in customer data centers. A very solid customer case from UBS shows that this is real. Another interesting area is in the middle tier with the availability of Dynamic Clusters in WebLogic 12c. Like a good PaaS environment (which this is not), the ability to seamlessly (and with preset constraints) perform horizontal scaling of workloads is pretty interesting. Application changes might be required, and I don’t believe that multi-geo scaling would work with their model without significant code changes, but it’s a good start at enterprise PaaS functionality. I came to the Oracle [Open World] seeking truth and wisdom on the cloud but expecting very little. To Oracle’s credit, they have exceeded my expectations. If you are an Oracle client or partner, it’s time to take a look at their cloud story to see how it might fit with your plans. I’d still be wary of some of their claims and don’t believe that they will be able to meet all of your needs, but at least they are in the game and competing. And we all know what happens when Ellison chooses to compete.